Course outlines, syllabi, notes, etc. For all other materials you may need to seek permission from the copyright holder. But not to worry. For educational purposes, especially one-time uses, there are exceptions that may help you out. 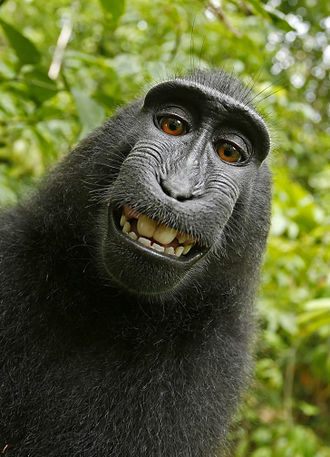 You cannot copyright “monkey selfies,” “murals painted by an elephant,” and other activities of nature without a human author. You also cannot copyright recipes or a list of ingredients and instructions on how to combine them. You can, however, copyright the arrangement of recipes such as in a cookbook. Hungry for more? See Copyrightable Authorship: What Can be Registered? from the U.S. Government, linked below. Copyrightable Authorship: What Can be Registered?